Fits Vornado Evap3, Evap1, Model 30, and Model 50 evaporative humidifiers,Contains one Vornado wick filters. At 7.25"H x 9.5"L x 1.5"W,1.5-inches thick and made of high-quality materials,Replace at recommended intervals for best performance,Keep stock on hand for dry months. 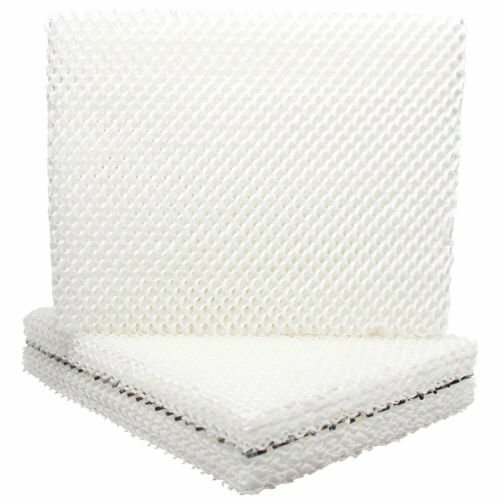 Traps Water Impurities & Dissolved Solids Before They Become Airborne,For best results, change air filter at least once per season or more often depending on air quality and use,Essential for Allergy Sufferers. this pack wick filters is designed to fit select Vornado humidifiers. The filter must have the correct height, width, thickness, and material for maximum performance. Competitors often advertise their filters will work with Vornado humidifiers but these filters don't always fit properly, therefore, the humidifier will not work effectively. wicks are developed from the highest quality materials that work to absorb the maximum amount of water while filtering the circulating air. These humidifier replacement wicks, part number MD1-0002, work with models Evap3, Evap1, Model 30, and Model 50. These humidifier replacement wicks, part number MD1-0002, work with models Evap3, Evap1, Model 30, and Model 50. If you have any questions about this product by Seelong, contact us by completing and submitting the form below. If you are looking for a specif part number, please include it with your message.